This Picture Frame is Perfect as a Flat Display on any Countertop or Tabletop! 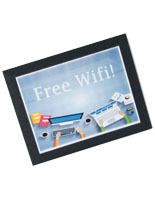 This Picture Frame is Made of Durable Rubber and Non-Glare Lens! 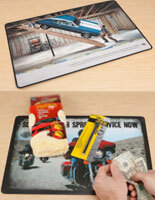 Shop Online for More Poster Frames! 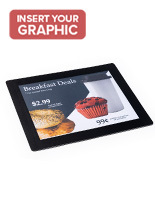 Media Size: 11" x 17"
16" x 20" 18" x 24"
Picture Frame in Flat Countertop Display, 11" x 17"
This picture frame, also recognized as a promotional mat, is a perfect place to display an advertisement or informational material right at your checkout counter. 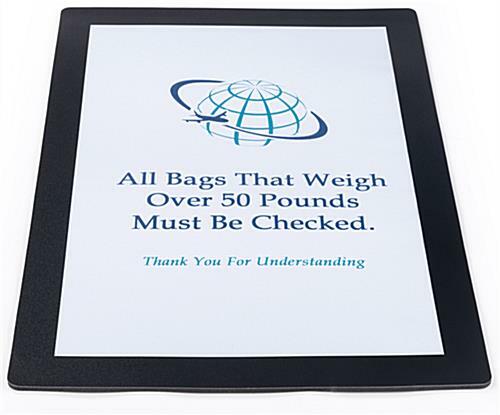 Design your 11" x 17" sign and print it on your ink jet or laser jet printer and insert it into this picture frame. These are popular in restaurants with counter service, retail locations and even doctors' offices. 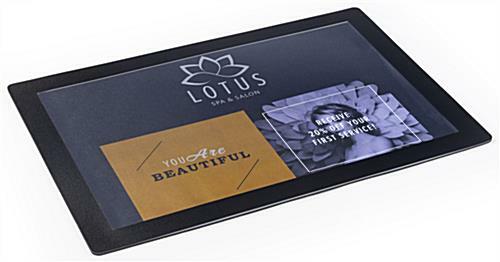 The picture frame also serves as a writing surface, so your clients can use it to sign credit card receipts. 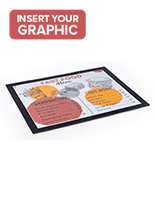 This picture frame will be extremely useful to any company where your clients will be communicating with you over a counter; it offers a perfect place to put advertising or informational materials. 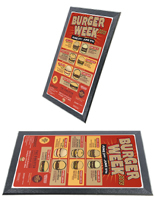 This changeable picture frame is engineered to accommodate your 11" x 17" signs and other promotional material. 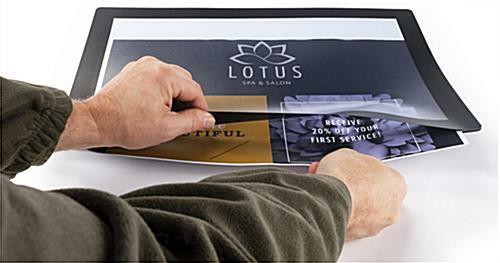 The picture frame incorporates a 1.25" black border and a window opening to exhibit an 11" x 17" sign horizontally or vertically. To load your signs, merely slide the sign into the open slit on the side. 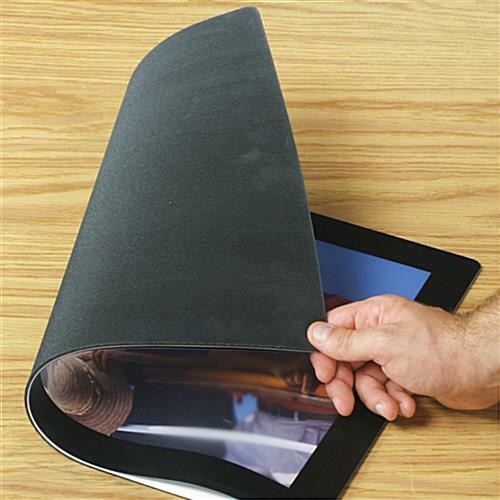 The picture frame is fabricated from rubber, and it has a non glare, protective plastic cover. Please note: This picture frame is not intended to be utilized in high volume retail and counter checkout places where heavy, boxed packaged goods could be routinely dragged across the surface. This picture frame is engineered for lighter use environments for example banks, fast food restaurants and expediency stores. 13.3" x 19.3" x 0.13"
WARNING: This product can expose you to Chromium (hexavalent compounds), which is known to the State of California to cause Cancer, birth defects or other reproductive harm. For more information go to www.p65warnings.ca.gov.